Cities Connection Project | WOHNHOCHHAUS. HIRZENBACH-ZURICH. 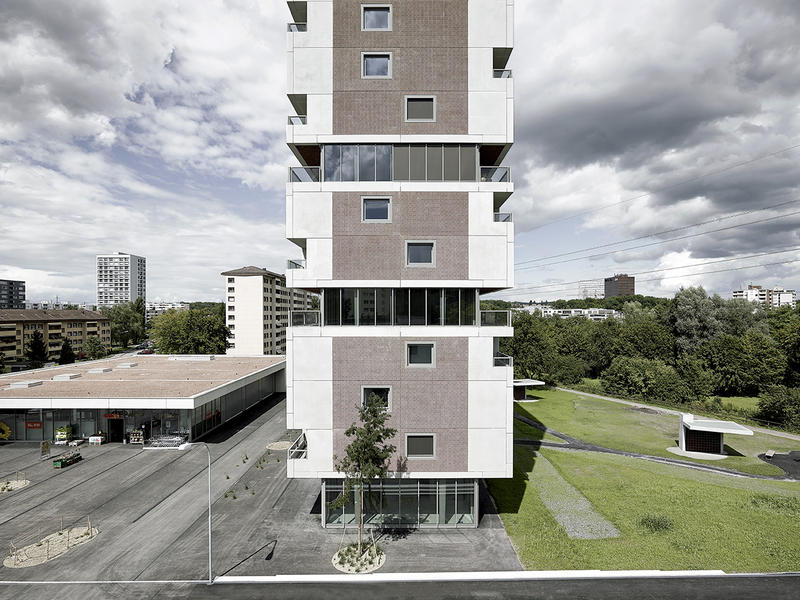 The new apartment tower and the one story commercial building formally represent the existing urban typology of low-lying public functions and high-rising housing blocks. 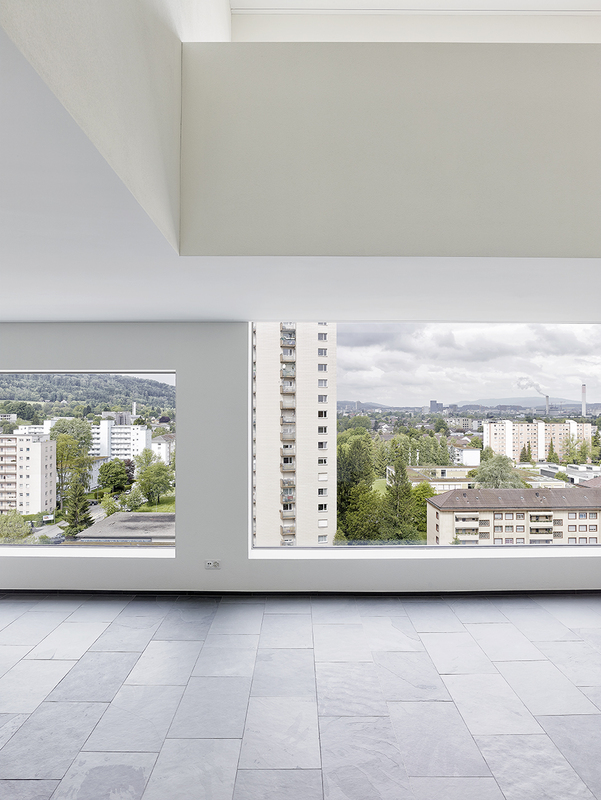 However, the unique interior spatial organization of the apartments, which is expressed in the façade, sets this building apart from its modernistic urban environment. The 12-story building height presented the potential for a spatial concept to be generated through its section: The targeted mix of typologies from two-story duplex apartments, requiring a definitive structural grid, to single story loft apartments seeking structural flexibility, lead to a spanning plate structural system. The bridge-like structural solution fulfills the varied spatial requirements of the apartment typologies which can be read in the facade. Maisonette apartments are distinguished by partial double height spaces and a floor layout which encompasses the full building depth. In contrast, the loft apartments celebrate the idea of open space. Here the sliding walls and functional cores are the room dividing elements. The enveloping balconies carved out of the building volume visually extend the interior out into the surrounding landscape.